JEE Main 2018 Result for Paper 1 will be declared only in online mode in the last week of April 2018. The result will be announced at cbseresults.nic.in for JEE Main Paper 1 on the same day (both online and offline mode). JEE Main 2018 Result for Paper 2 will be announced in the end of May 2017. Download and print multiple copies of the scorecard for future use. Enter your roll number and date of birth to view the JEE Main Scorecard. After the JEE Main Result is announced, CBSE releases All India Rank list which displays the All India Rank obtained by the candidate. JEE Main Scorecard contains the normalized scores of the candidate. 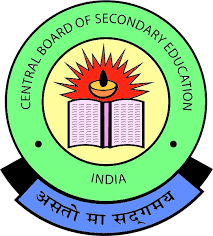 CBSE announced that class XII marks will not be considered to calculate the normalized score. JEE Main Cut off is prepared on the basis of the normalized score. check all the details about JEE Main 2018 Result in the below article. Find the direct link to JEE mains result at the top of page. Students can save the copies of their result for further reference. Students are required to submit the admission application along with the valid JEE Main 2018 Result score and counselling fee through the JEE main official website to be considered for admission. Without considering the Class XII marks, calculation of normalized marks will be done. Candidates with 75% marks in Class XII qualify for JEE Advanced (65% for reserved categories). Candidates within top 20 percentile in their state board also qualify for JEE Main Counselling. Normalization is calculated with the number of candidates in the group with aggregate marks less than the candidate divided by the total number of candidates and multiplied by 100. Merit list will display by CBSE, as at the counselling time it will be most important factor for locking up the right college and branch for a candidate. Marks obtained in Mathematics in JEE Main 2018. Marks obtained in Chemistry in JEE Main 2018. Marks obtained in Physics in JEE Main 2018. Students who are obtaining higher marks will be given better rank. By finding the ration of negative and positive marks. Students who are having higher absolute value will be given better rank. Marks obtained in Aptitude test in JEE Main 2018. Marks obtained in Drawing in JEE Main 2018. Minimum score that is used to screen admissions is the cutoffs. The cut offs will be differing from institute according to courses, as admission are held through JOSAA. 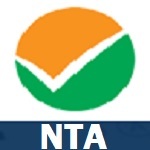 Some institutes are more preferred and some disciplines too such as NIT Warangal, NIT Trichy are top preferred ones as are the disciplines like Computer Science Engineering, Mechanical Engineering etc.